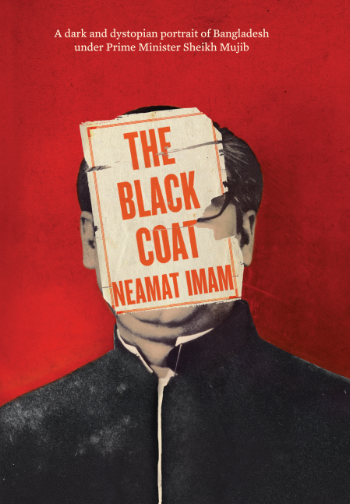 The Black Coat, Neamat’s first novel, was published by the Penguin Group (Penguin Books India, in Hamish Hamilton imprint) in May 2013. Press Trust of India (PTI) has already declared it one of the “must read” books of 2013. 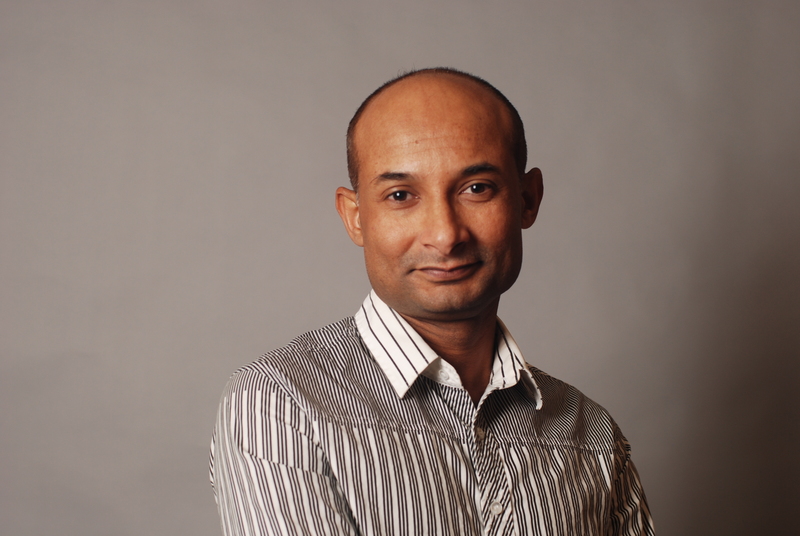 He holds a PhD in theatre studies from Aristotle University of Thessaloniki and has taught English at ChittagongUniversity and JahangirnagarUniversity in Bangladesh before moving to Canada. 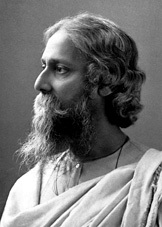 His first book, Paravarty Drishwa (1996), a play, was published by the Bangla Academy under its Young Writers Project. 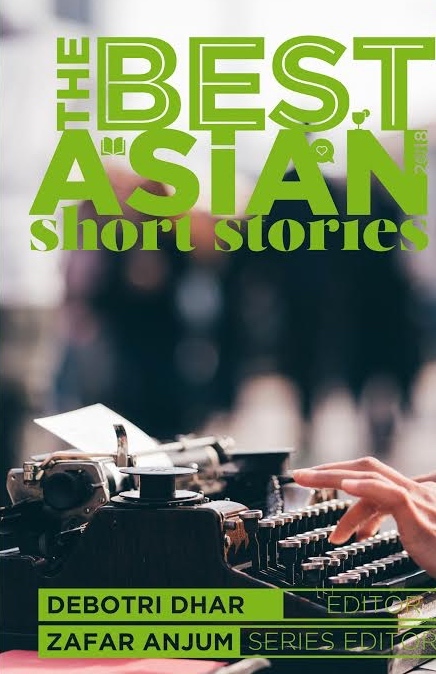 It was followed by two novellas, Elephant Road (1997) and Boidik (1999), and a collection of poetry, Amaar Rashtro Amaar Nagorik (2010), all published from Dhaka. The Black Coat is your first novel. But you have been published earlier, in Bengali. Tell us about your writing journey. NI: I started writing in the early 1990s. I began with poetry. I wrote about things I saw. Only a few of my poems were published in various literary journals. I guess they were not interesting. Sometimes I think I was not writing at all; I was only interpreting other poets in my poems. I saw through their eyes. I explained what they had already explained. Then, within a few years, I had some success with articles, articles on world literature in the literary supplements of various Bengali newspapers. I wrote on Harold Pinter, V S Naipaul, John Osborne, Arthur Miller, Edward Bond, Albert Camus, Emerson, Thoreau, Sir Philip Sidney, Shelley, Byron, Chinua Achebe and many other prominent writers. That brought me to the attention of some renowned poets and writers of Bangladesh who later wanted me to review their books. I come from a really poor family. I had to work every day to support myself as a student. There was not much time to give to writing. Soon I did not like writing for the newspapers. There was no money in it. I wanted to write for the TV and make myself rich. Although we had only one TV channel in the country at that time and every writer and pseudo-writer in the bureaucracy wanted to write for it, I managed to have two of my scripts accepted. My actual writing began in 1994, with the publication of Elephant Road, my first novella in Bengali, in Uttaradhiker, a journal of creative writing of the Bangla Academy. This helped me win a fellowship from the Academy under its Young Writers Project in 1995. The outcome of the project was Paravarty Drishwa, a play in Bengali and my first published book. I was adjudged the best playwright on the project for it. Elephant Road was published as a book in 1997 and it was followed by Boidik, another novella in Bengali, which was first published in Uttaradhiker and then published as a book in 1999. Although I did not publish anything in the following ten years, I did not stop writing at all. I was in Europe and began to write in English. It was terrible. I was doing something that I had not done before. I thought I had no future. I finished my doctoral dissertation at Aristotle University of Thessaloniki on time and moved to London. I completed a short-story manuscript in English by 2005. It was not anything that I would send to an agent expecting a book deal. Although some manuscript assessors said my stories had potential, I decided not to go ahead with it. I wanted something substantial, something that would declare my presence in the literary world. I decided to wait. I switched to writing novels. I wrote for two years and produced a manuscript of 160,000 words and then gave up. I could not sleep. My health broke down. It was too much work even physically. By that time I had already moved to Canada looking for a better financial security for myself. It was a new country and my career was changing again. I wanted to be a designer. I went to school again, completed a diploma in graphics and worked at an advertising studio in Toronto. After a year I did not like being a designer. I took a break, travelled across Canada in the summer of 2008, and then took a night-shift job at a production plant which dumped me after a few months citing financial constraints. I was lonely. Upon that there was the tremendous pressure of failing continuously at everything that I wanted to accomplish. I did not want to return to the university where I taught because I had already let them down by not returning to it right after completing my doctoral course. I felt suffocated and did not want to talk to anyone that I knew. I bought cheap winter clothes from charity shops and went to the value village to buy second-user books and CDs. I stayed home several months and completed a collection of political poems which was published from Dhaka as Amar Rashtro Amar Nagorik in 2010. You have studied theatre and you have taught and written plays. How different was writing a novel? Was it more challenging? NI: Besides Paravarty Drishwa, I also wrote Nispriho Nishshoron, a one-act play in Bengali. But I would not compare writing a novel with writing a play. Both of them demand serious determination and hard work. I had to change my city and country every few years. I thought I was not in a position to be successful as a playwright. I thought that because I could not be or remain a part of a theatre-group for a time long enough to convince them to take my script to the stage. I inherited that understanding from my peers. Of course I was wrong. A good play will find its theatre group, sooner or later. I read Christopher Marlowe’s play Doctor Faustus whenever I can. It is a four-hundred years old modern text. I also read Albert Camus’s The Outsider at least once a year and some years more than once. In both cases I only want to understand what makes them perfect as two texts and why I think they can satisfy me. It is the text that matters. But writing a novel was particularly liberating for me. I did not have to pass my nights worrying about whether the audience would be intellectual enough to understand my point of view, whether I would have a diligent director, an experienced sound artist, a creative light specialist, an inventive choreographer or costume designer to work with. I did not have to worry about which actors would play the lead characters and if they would be available to me. I wanted to present myself in a certain way to my readers and in my novel I did present myself in a certain way to them. My message was not enhanced or curtailed by the presence of an intermediary like a director’s or an actor’s. What would you say is your first love? Plays or novels? NI: First love? It has to be plays. Definitely. The title of your novel The Black Coat reminds me of Gogol’s The Overcoat. Did Gogol inspire you in any way? NI: There are many serious writers in the world and Bangladesh is not the best place to find all their work together. I read whatever I could and whatever was available to me. Fortunately, I came across Gogol’s stories in my university life. I couldn’t tell whether a particular writer inspired me or not, but I can tell you for sure I found Gogol seriously philosophical. He has the capacity to mesmerize any thoughtful reader anywhere in the world. He was critical of the social hierarchy and the political corruption that undermined the aspirations of the contemporary Russian people. I also like the impressionist view of reality that he presents in his work. Almost one hundred and fifty years ago Dostoyevsky mentioned him several times in his celebrated novel Crime and Punishment. I am sure Gogol was tremendously influential even in his time. Who were the writers you admired in your formative years? And who do you read and admire now? NI: I read all major writers of the Bengali literature. Among them I particularly admired Bankim Chandra Chatterjee, Bibhutibhushan Bandopadhyay and Syed Waliullah in my formative years. Among the recent writers, I admired Ahmed Sofa most. I had the honour of meeting him a few times. He died in 2001. He was a fearless and an honest intellectual. How can people not talk about politics in a country like Bangladesh which is crippled by political problems and still call themselves writers? They can, if they are politically inert, submissive or prejudiced, which is what most Bangladeshi writers are today. They have been writing about Sheikh Mujib’s leadership for the last thirty-eight years without ever mentioning that he was the first and the deadliest dictator of the country. Why did they do that? They wanted to be recognised as great writers. They wanted to be accepted in the in the circle of the intellectuals who grew up loving Mujib as a liberator. Criticising Sheikh Mujib’s legacy would label them as reactionaries or fundamentalists only. Fortunately, Ahmed Sofa was different from them. He never backed away from criticising the establishment. He did not want to be remembered as a great writer by winning the favour of the establishment and for this he will be remembered for a long time by readers like me who believe we need to wake up and wake up with agitation and determination to begin the process of creating a just society in Bangladesh based on the values of secularism, tolerance and liberalism. From the huge bulk of the World Literature I will mention seven writers here that I will always admire: Cervantes, Dostoyevsky, Kundera, Pasternak, Camus, Kafka and Melville. There are a great many writers who are not on this list. Among today’s writers my favourites are: Orhan Pamuk, Tash Aw, Rohinton Mistry and Chimamanda Ngozi Adichie. You write both in Bengali and English. Is that an advantage or a disadvantage? NI: I wrote my first novel The Black Coat in English. When I was writing it, I was also writing the poems that appeared in my first poetry collection Amar Rashtro Amar Nagorik. My poems were in Bengali. I am now preparing my next poetry collection and that too is in Bengali. I do not choose a language. It just happens. At this moment I am also working on two novels. One of them is in Bengali and the other in English. I live in the English world for the last ten years only. Therefore, it is hard for me to write in English. I struggle a lot. I write one sentence at a time. The day I can write 500 words is really a great day for me. I go to bed with a happy mind. I write short sentences, and try to be grammatically correct. But I make a lot of mistakes and I need copy-editors to help me. To be able to write in two languages is definitely an advantage. My audience is wider now than before. My work is being reviewed in different countries. I have the opportunity to compete with many brilliant writers from across the globe. I also have to consider who those writers are competing with – the many great writers in the histories of their literatures, so that I can do better than them all. NI: Bangladesh is probably the worst place for you if you want to be a writer. Since the 1980s, we have a culture there according to which a person must publish a huge number of books to be recognised as a writer. I have friends who started writing with me in the 1990s but who have published over 50 books in the last 15 years. I hear that some of them have published even 200 books during the same time! A novelist may have 10 new books coming out in one calendar year and that is not news there. I think I will never be a writer in Bangladesh in the traditional sense. I began to consider myself a writer seriously only recently, after the publication of my novel The Black Coat. Becoming a writer is a process. It needs time. It involves the gradual development of the writer’s mind. My novellas were published in Uttaradhiker, but I am not highly satisfied with them. They could be better. My play won the best play prize, but I am capable of writing a better play. May be it was the best play among the ones that were submitted to the project director. May be the jury was not qualified enough to judge the merit of a play. Maybe the project needed to publish one or two plays irrespective of their theatrical and artistic qualities to be considered successful. It was a project funded by the government. No government project is allowed to fail officially. Even my poetry collection has some poems which are absolutely unnecessary for it and which I would not include in it if I prepared it now. But I think my process of becoming a writer is over with the publication of The Black Coat. I say that based on the kinds of responses I see the novel has been receiving from various quarters. It has already unsettled the so-called intellectuals of Bangladesh. Let me give you an example. Hay Festival is the foremost festival of literature and arts in the UK. It brings writers and readers together to share their ideas and thoughts with each other. In recent years, Hay has also expanded internationally. In Dhaka, it was founded in 2011 by Peter Florence of Britain and Tahmima Anam, Bangladeshi novelist residing in Britain. I read that Hay Dhaka has instantly grown into one of the largest Hay festivals in the world. Before my novel reached Dhaka, I received an email from the co-producer of Hay Dhaka and it said: “Your book is already being talked about and making waves…. We would love you to launch your book in Bangladesh at Hay Festival Dhaka, and (it) would be great if you could participate.” I replied that I would be only happy to participate. I thought Hay would give me an opportunity to talk about my book directly to an audience. Launching the book at the festival would also help it receive some coverage in the press, which, in turn, would draw more people’s attention to the troubled legacy of Sheikh Mujib than now. But two weeks ago I received another mail from Hay Dhaka and it said: “We are trying to arrange funding for this year’s Hay …. At the moment, we are not able to find funding for you … It looks like our theme of novels based on historical writing (like your book) may be pushed back to next year, as some people that we had expected to come, cannot come till next year.” I wrote back to them thanking them for considering me for the festival while knowing well that I did not expect them to invite me to join in the first place. I am sure they felt uncomfortable after reading my book. They have with them the intellectual elites of the country, people who overlooked and have been overlooking for decades the fact that Sheikh Mujib banned all opposition newspapers and opposition political parties in the country and kept a ruthless private militia who could not be prosecuted in the court of law for kidnapping or killing his critics and political adversaries thanks to a bill he introduced and that it was he who disregarded the country’s constitution first and introduced a one-party rule destroying the democratic future of the country. They did not know exactly what the book was about and when they did, they acted most predictably. Hay Dhaka has lost its conscience. It is not innocent any longer. It is not what the Hay Festival Hay-on-Wye in Wales is, a “programme of debates and conversations.” It is an organisation of people with little minds. They virtually banned my book although the government did not. With The Black Coat I wanted to tell my readers that as a writer it was my duty to annoy them, to attack their achievements, to hurt their pride, to destroy their comfort, and to challenge their intelligence. I wanted them to take no leaders and no politics for granted and to understand that the cult of leadership was a thing of the past and the future of the country depended on each one of them. My book must have annoyed the Hay Dhaka officials to a large extent which compelled them even to compromise their mission unashamedly. And that has given me the confidence that I am doing my job as a writer and I am moving in the right direction. What to you is the hardest part of being a writer? NI: Becoming a writer is becoming someone other than your material self. It is a new identity added to what you already are. Gradually, you are consumed by it and at one point replaced by it. You cannot go back to what you had been. You can burn all the copies of your books and throw away all your manuscripts into the river; still you will not cease to be a writer. It may sound scary, but it is not. It is the opposite of it, a blessing. It is a blessing because that is exactly what you wanted to happen to yourself; that is why you wanted to be a writer. The hardest part of being a writer is to feel this transformation within the self, and to accept it with honesty and conviction. Unfortunately not many writers are open, enlightened and brave enough to welcome this transformation in their lives which is why they fail to create classic texts and why they embrace slavery instead of freedom. Now that you are based in Canada, do you consider yourself an expat/immigrant writer? NI: I do not consider myself an immigrant writer. I was born in Bangladesh. It was there where I was brought up and went to school. My professional life also began there. 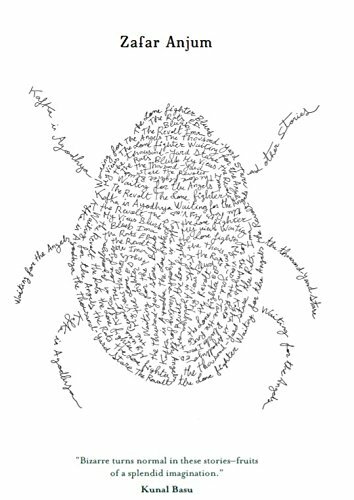 It is still my home and all my writings are about it. I live in Canada for a good number of years now. I love this country although I do not know much about it. I lived in Greece, UK and China as well and enjoyed my stay in every one of them. 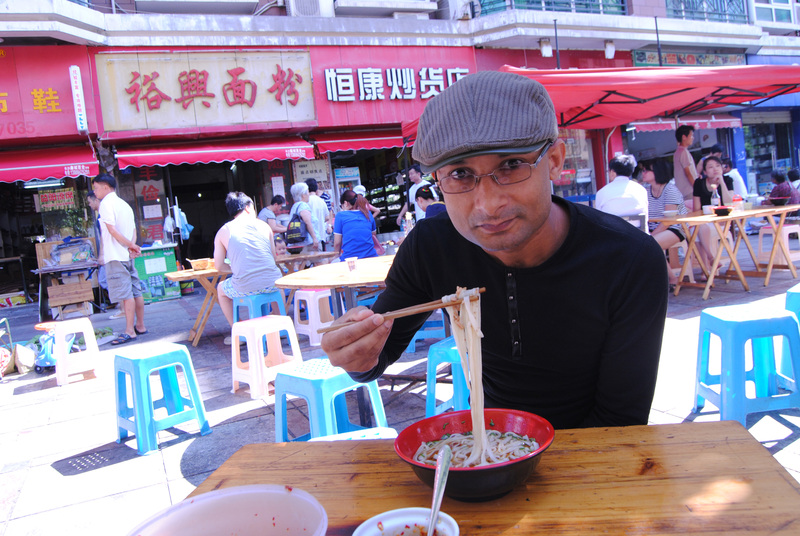 When I lived in China, I wrote in English, and when I lived in Canada, I wrote in Bengali. 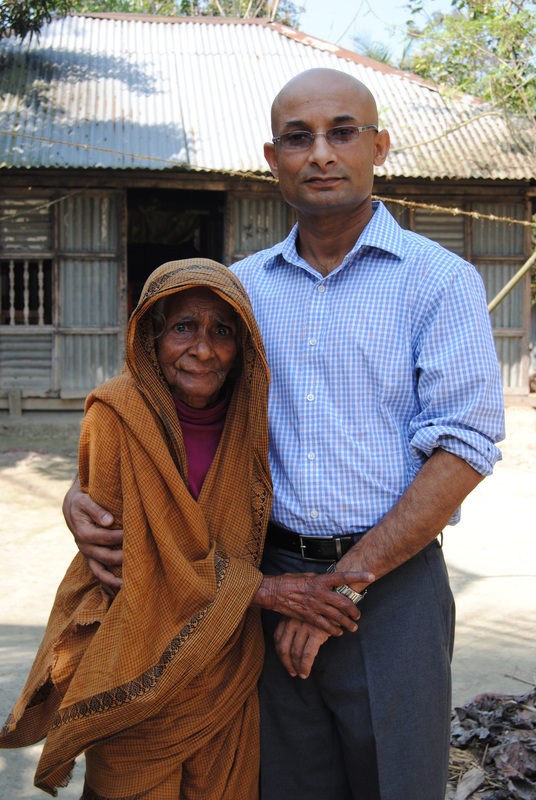 When I lived in Bangladesh, I aspired to be a writer in the UK. But my book was published in India and reviewed in Hong Kong, and this interview is for Singapore. A writer is not limited to any geographical area and immigration is all about geography, i.e., who was or wasn’t born where, who lived where for how many years and on what conditions, etc. On the cover of my novel I introduce myself as a ‘Bangladeshi-Canadian’ writer. I think that is a sincere and logical thing to do, considering the fact that I am a Canadian citizen of Bangladeshi origin. But this is for the world, as in Canada I am a Canadian and in Bangladesh a Bangladeshi. What would be your advice to other first time novelists? NI: 1. Find a good story 2. Complete writing it 3. Edit, edit, edit your manuscript 4. Will your manuscript make a better book than those that you see in the bookstores? If yes, submit it to an agent. Otherwise wait and write it again and edit it again. I know that Anthony Burgess wrote his dystopian novel A Clockwork Orange in just three weeks. If you are the new Anthony Burgess, you do not need anybody’s advice. But if you are like me, slow, hesitant, nervous, unsure and easily bored, and you have a day job to go to and a family life to manage, it is better to start with a target in mind. Do not despise yourself. You are strong. Decide when you want to get published, when you want to send the manuscript to an agent, when you want to have your manuscript copy-edited by a professional writer and when you want the full-text to be produced on your computer screen. Write down your deadlines and stick to them religiously. If you start tonight, you should be a published writer within the next four years. Posted in Authors, Book, Features and tagged Bangladesh, Canada, Hay Dhaka, Neamat Imam, The Black Coat. Bookmark the permalink. Its not my first time to pay a quick visit this web site, i am visiting this site dailly and obtain fastidious data from here all the time.